"Our Greatest Success is Your Good Health!" 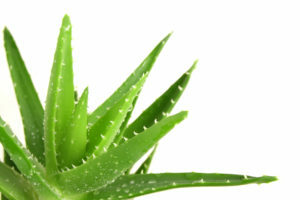 More exciting news from the National Center for Biotechnology Information, U.S. National Library of Medicine on the effectiveness of Aloe Vera Polysaccharides for Type 2 Diabetes. As always, the Abstracts are not the easiest to understand but see the bottom line of the findings in italics below; and you can find the link to the entire report at the bottom of this article. ER stress attenuation by Aloe-derived polysaccharides in the protection of pancreatic β-cells from free fatty acid-induced lipotoxicity. “Insulin resistance, a pathophysiology of type 2 diabetes, is associated with obesity. Lipotoxicity in obesity leads to the dysfunction and death of pancreatic β-cells and inadequate insulin production, thereby aggravating type 2 diabetes. The present study was conducted to determine the effect of Aloe vera polysaccharides (APs) as an anti-hyperglycemic agent and their mechanisms of action. Gel polysaccharides from Aloe extracts were separated using ultrafiltration devices with molecular weight-cutoff membranes, and the protective effect of APs on pancreatic β-cells in response to free fatty acids (FFAs) was determined. APs were effective in interfering with the FFA-induced activation of the PERK and IRE1 pathways as well as ROS generation, thereby protecting pancreatic β-cells from lipotoxicity. Although variation in the chain length of APs can influence the activity of FFA-mediated ER stress signaling in different ways, polysaccharide mixtures with molecular weights higher than 50 kDa showed greater antiapoptotic and antioxidant activity in β-cells.